Stories told by friends and strangers can be the source of valuable insight and a shared joy. 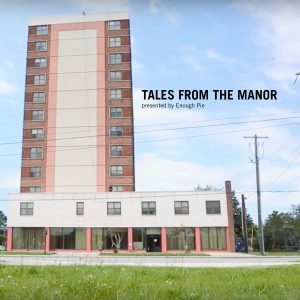 Enough Pie, in partnership with Ohm Radio 96.3, is proud to present Tales from the Manor, a storytelling series that introduces audiences to the powerful histories of Joseph Floyd Manor residents. 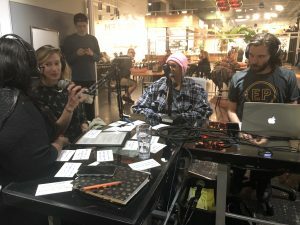 Summer Anderson, a Charleston resident and creative and Jae Smith, case intake specialist at Joseph Floyd Manor, co-host the podcast with a new guest from Joseph Floyd Manor each episode. The Joseph Floyd Manor is a 12-story federal housing development for low-income elderly residents. This public housing high rise, situated in Charleston’s Upper Peninsula, is filled with the treasures of life experiences, both uplifting and heartbreaking, known by the unique and wise elders who live in the building. The life stories shared on Tales from the Manor can be found on air at Ohm Radio 96.3 every other Wednesday at 1pm and every other Sunday at 3pm, beginning on Wednesdays, February 13th. Past episodes can be found on iTunes Podcasts or Enough Pie’s Soundcloud (https://soundcloud.com/enoughpie) page after they air on the radio. Want more info about Tales From The Manor? Check out the City Paper article!